For all the flowery praise of learning for the sake of knowledge that gets tossed around on college campuses, it’s no secret that the real purpose of higher education is to land the right career afterward. Unfortunately, too many students leave their university with a piece of paper and little else. They lack experience, have no clear goals and often find themselves languishing at a substandard job with no hope of advancement. Don’t let that be you! These are the five essential steps to begin planning your career and ensure that you don’t end up in a dead-end cubicle. Millions of young men and women enter college every year, and almost half change their major at some point during their undergraduate careers. Before committing to any industry, explore your skills and interests to the furthest extent possible. Most universities have very general freshman years to accommodate this. There’s nothing worse than locking yourself into a field you hate out of a sense of obligation or greed; it’s better to be a happy, talented artist than a miserable and mediocre lawyer. Stick with what you love, and you’ll never regret the decision. Nowadays, there are no Renaissance men or women. Jobs, because of their increasingly technical nature, are becoming more and more specialized and exclusive. Engineers don’t just major in engineering. Some love mechanics and architecture, while others are fascinated by the electrical workings of a computer chip. Employers like to see a narrow area of study on resumes because it shows focus and provides a clearer picture of your training and interests. An English major raises questions, but a degree in technical writing answers them. Once you’ve decided upon your major and field of specialty, it’s time to decide where you want to go. You might hope to become a research scientist in a bustling laboratory or the CEO of a thriving business. Maybe you’d like to make partner at a prestigious law firm or write best-selling novels. Whatever your ambition, do some research and pin down a specific job title or goal. This will give something to work toward in the future, even if progress is going slower than you’d like. Perhaps most importantly, apply yourself in school. Employers rarely demand to see your GPA, so long as you have your degree, but college can only give as much as you put into it. Get involved in extra-curricular clubs, do your assignments early and don’t be satisfied with the bare minimum effort. The practical knowledge and work ethic you’ll develop are well worth a few late nights bent over a textbook. Look for internship and volunteering positions as soon as you’ve chosen your major. The sad truth is that even if you excel academically, four years of college courses will only take up two or three lines of your resume. The rest must be gained in the outside world. Taking internships shows initiative and might even net you a job offer as soon as you graduate. Begin making a name for yourself in school, and you’ll stand head-and-shoulders above your competitors for entry-level openings. After you’ve earned your degree, it’s time to enter the workforce. If you’ve been diligent throughout college, you should be able to find a job somewhere, even if it’s not particularly glamorous. Keep your goal in mind but don’t be too picky to start with. Build up your resume, make connections and never stop looking for new opportunities to move your career forward. 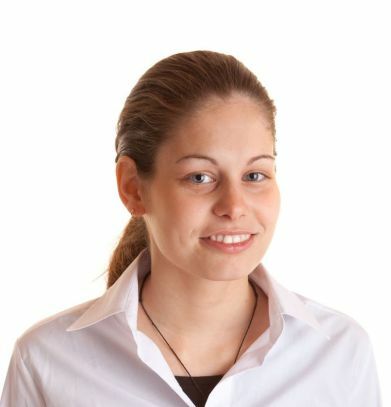 About the author: Dunya Carter is a HR and marketing specialist from Australia. She is currently working as a consultant for Ochre Medical Recruitment. In her free time she writes articles on business and career development for several websites and blogs.